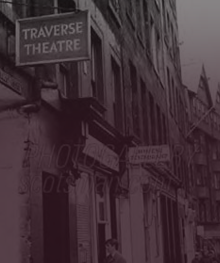 The Traverse was founded in 1963 by a group of arts enthusiasts, John Calder, Jim Haynes and Ricci Demarco at 15 James Court, Lawnmarket a tiny 60 seat venue, Within three years, the theatre club had produced 110 productions, including 28 British premieres and 33 world premieres. Such success required a larger space and the theatre moved in 1969 to a refurbished loft apartment in the Grassmarket. 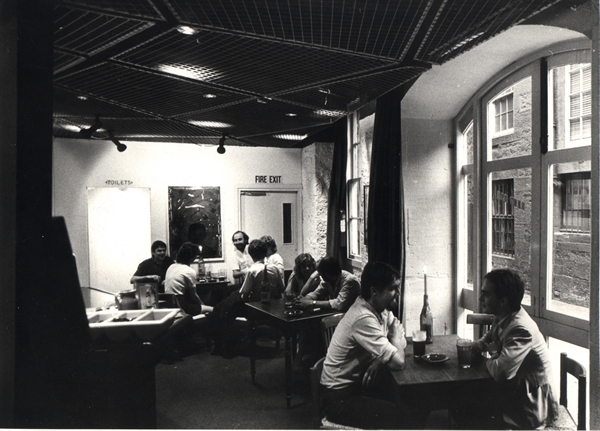 In 1992, the Traverse moved to its current location, 10 Cambridge Street, with two theatres and a spacious Café-Bar, an integral part of the theatre-going experience where cast, directors, writers and playgoers mix and mingle after a show for cultural conversation. The ethos of the inaugural Theatre Club was to continue the spirit of the Edinburgh Festivals all year round. 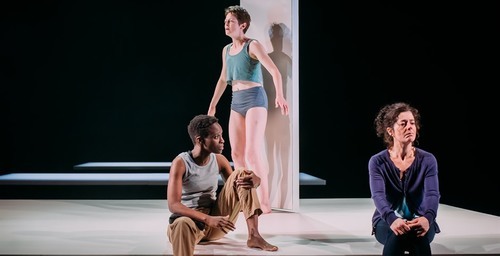 As ‘The Fringe venue that got away,’ the Traverse commissions plays and also invites UK companies to showcase contemporary drama, dance, physical theatre and music. 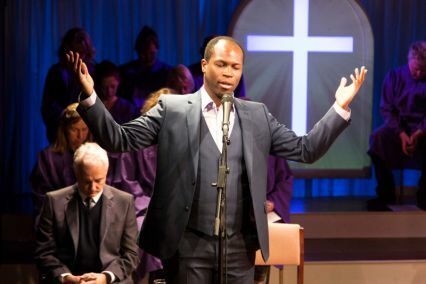 Since 1963, the theatre has been a hothouse for nurturing and cultivating new talent. 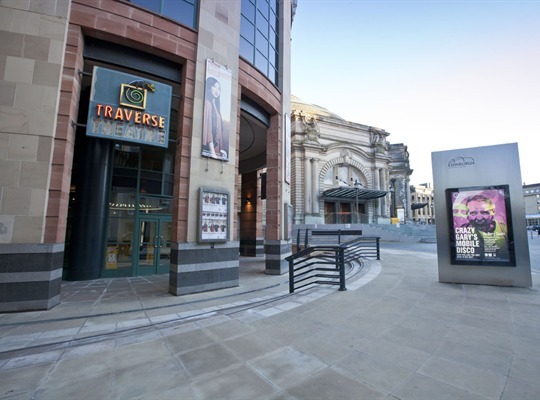 During the Festivals in August, the Traverse is renowned for presenting world premieres, Scottish and UK premieres to an international audience. First up, the World Premiere of Swallow by Stef Smith (Olivier award winner for Roadkill), about three strangers brought together by the lonely heart of modern life, where neighbours overhear each other but never exchange a word. As Smith says, “I wanted to explore how we deal with the anger and frustration . 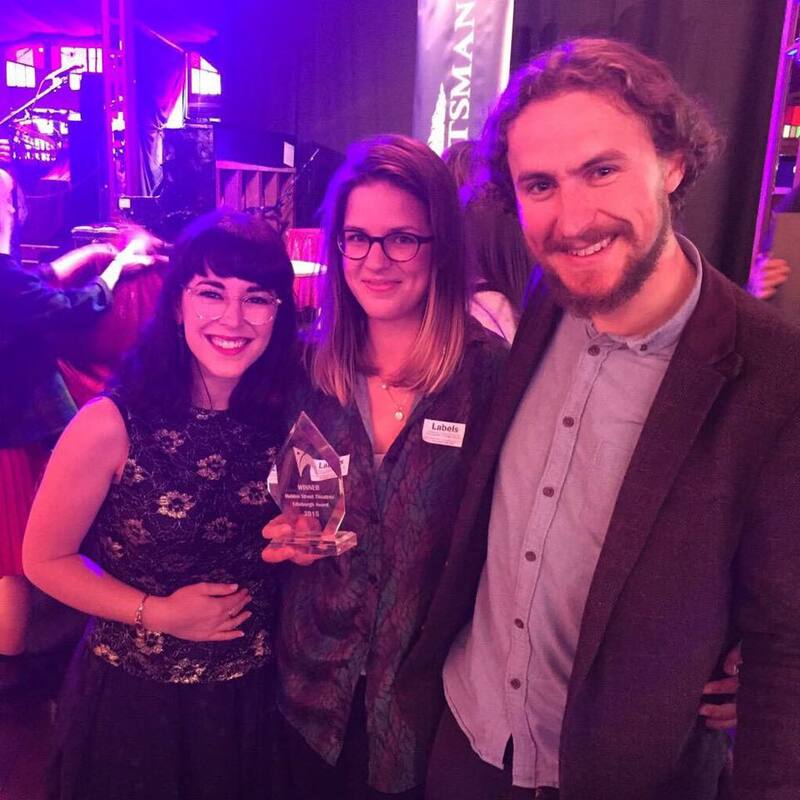 (in our) chaotic messy complicated lives.” Directed by Orla O’Loughlin, Swallow won a Scotsman Fringe First in Week 1, and the Scottish Arts Club award for best new play. Crash by Andy Duffy was sent to the Traverse through the Open Submissions scheme and first staged in the “A Play, a Pie and a Pint” Autumn 2014 season. Nominated for a CAT’s award for a new play, this was a welcome, well-crafted and polished revival at the Fringe this summer. In a one hour monologue, we observe, listen and try to understand the recent personal and professional experiences of the unnamed narrator. This is a man who is experiencing a mental breakdown, whether through grief, guilt, the global financial crisis. 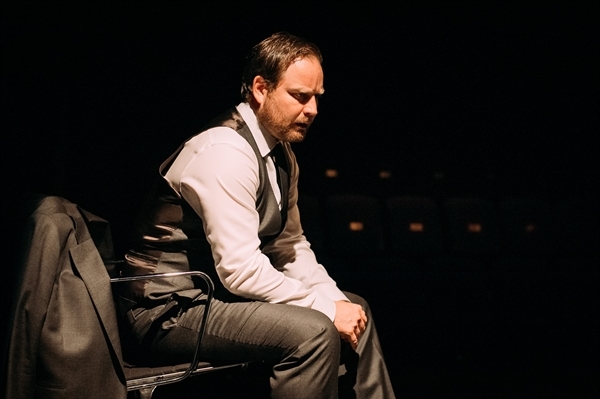 Dressed in a shiny grey, three piece suit, Jamie Michie plays the stock market trader, with immaculate, focussed precision. He sits nervously on a black office chair, as if taking part in the quiz show, Mastermind. As if talking to a psychiatrist or a priest, he slowly, painstakingly shares his story, openly confessing his feelings, doubts, fears. Memories flows back and forth, from flashing moments of a fatal car accident, to the present day, coping with work, colleagues, friends. The text is beautifully constructed like a richly patterned mosaic, as we try to piece together the truth. Also winning a Scotsman Fringe First was The Gate Theatre, London for The Christians by Lucas Heath, which takes the lid of the theological doctrine accepted by the faithful followers of American evangelis: “It’s rare to find a play that analyses Christian feeling with such high seriousness and sympathetic intelligence.” The Spectator. The National Theatre of Scotland and Live Theatre staged Our Ladies of Perpetual Succour, a play with songs based on Alan Warner’s novel The Sopranos – a raunchy, riotous tale of six Convent School girls drinking Bacardi and behaving badly over 24 hours with “ the fearless exuberance of youth”. 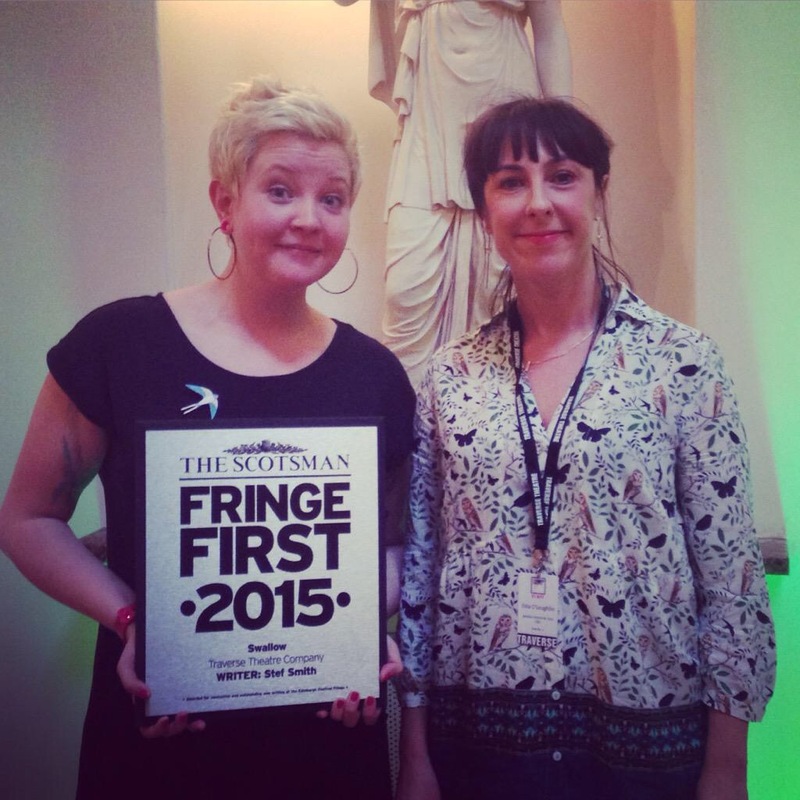 Awarded a Herald Angel, Stage Award for Best Ensemble and a Scotsman Fringe First. 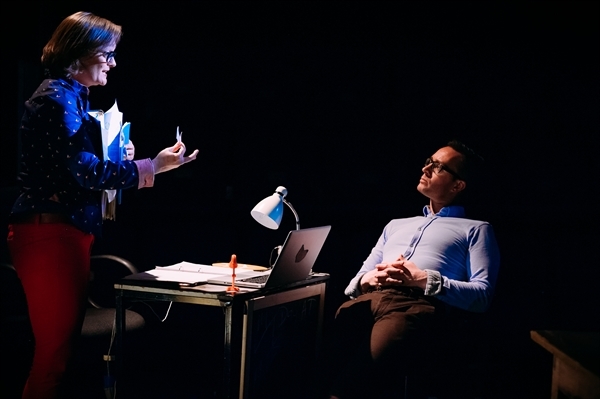 A Gamblers Guide to Dying about a gambling granddad, the art of probability, fate and winning the jackpot – a masterpiece of storytelling which won the Holden Street Theatre Edinburgh award. The prize? A trip to Adelaide Festival, Australia next year.! A co-production between Vanishing Point Brighton Festival and Tramway, Tomorrow looks at the scary concept of ageing …”haunting, surreal, … a powerful reflection on care and the need to be cared for, the power of memory and our inability to live in the moment” Edinburgh Guide. And the play was nominated for a Total award. And there were many other theatrical treats too, starting the day with tasty Traverse Breakfast Plays, global treats curated from Canada, Egypt Ukraine and China …. 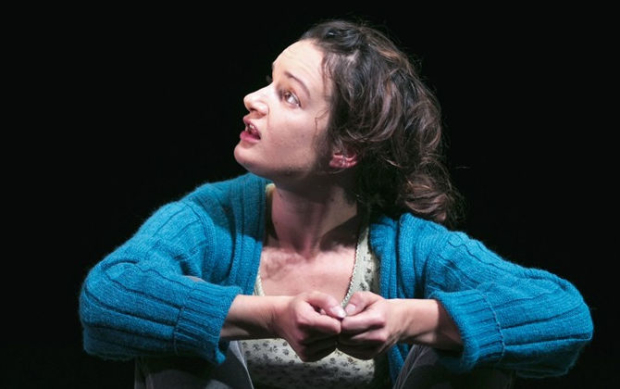 (nominated for the Carol Tambor Award) ……..to an evening show, How to Keep an Alien by Sonya Kelly, an autobiographical tale about Irish Sonya and Australian Kate who fall in love but will Immigration allow them to live together in Ireland. 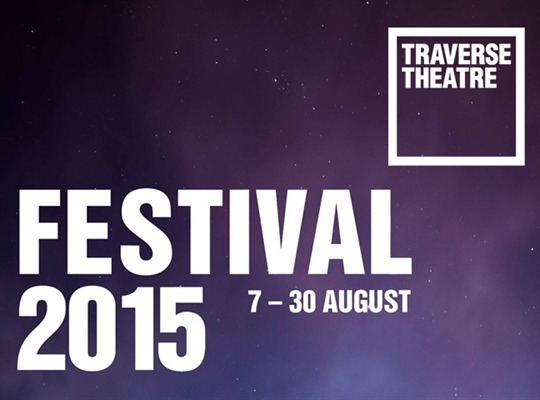 Since 1963, the Traverse has continued to achieve outstanding theatrical success, staging innovative new work, illustrated only too well by this inspirational programme for the Festival Fringe 2015.